Jesse V Coffey, author and dreamer: 'For the times, they are a-changing', Mr. Patterson -- where the hell are you? 'For the times, they are a-changing', Mr. Patterson -- where the hell are you? Click the pic to see the full ad. 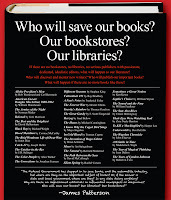 If there are no book stores, no libraries, no serious publishers with passionate, dedicated, idealistic editors, what will happen to our literature? You're right there, we'd kinda be screwed. Or would we? After all, what are Amazon, Books-a-million, and all of the other online booksellers? Chopped liver? Or perhaps we'd find alternate places selling books? After all, before the advent of storefronts that sold only books, there were places one could obtain books? After all, Gutenberg didn't print pages for his own benefit. What you mean is what would happen if the brick-and-mortar store went away. And the truth is, not all brick-and-mortars are going away. Only the ones who refuse to adapt and grow in this new digital world. As Bob Dylan once noted, "for the times, they are a-changing." And nothing can be more evident than in the new publishing paradigm. Who will discover and mentor new authors? You're kidding, right? Who do you think discovers and mentors new authors now, dude? Because it sure ain't the publishers. Or their editors. JPatt, my man, you've been in the mainstream too long to know what it's like as a newbie hitting the scene. No one is doing the mentor thing. Your book is publication ready before it hits the acquisitions editor. The dwindling list of services with publishers these days is underwhelming when it comes to mentoring and discovering. It's about the all-mighty dollar and how much they can make on a book. And if it's the new Fifty Shades of Grey, who cares whether the author can write or not? Who cares whether that author writes another book again? Who will discover new authors -- the same people that have always done it. The readers. The ones who buy the books, who read the books, who review the books, who blog about the books, who spread the word about the books. That's who. Where the hell have you been, dude? 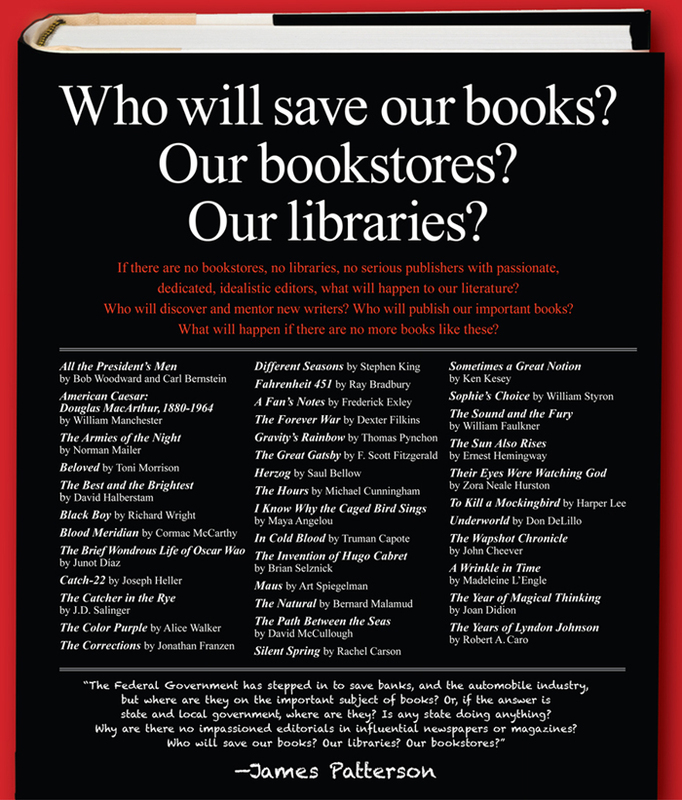 Who will publish our important books? What will happen if there are no more books like these? Uh, the indies? Small publishers, indie publishers -- you think The Celestine Prophecies started out as a trad published book? Or Fifty Shades of Grey? You think Amanda Hocking or John Locke needed a trad publisher? You know, Poe indie published. So did Jim Morrison. I'd say those books were pretty damned important for showing that the agency model is old and outdated. It's archaic to the point of being ludicrous. Indies are still gaining steam and more authors are leaving the trad world behind every single day! You are in more danger of becoming a dinosaur, my friend, than the traditional bookstore. Maybe you need to think about that one for a while. The truth is, the publishing world is changing and if you're not willing to adapt to the new paradigm, you will go out of business. Look at Barnes & Noble. Amazon swept in, introduced the Kindle, and started promoting indie authors like crazy. They pretty much set the standard that we all follow. Apple joined when it became too obvious what was going on and made the cut as well. B&N refused and sat on what potentially turned into a gold mine in the publishing industry. By the time they decided to get involved, it was too late for them. And they're paying the price. They became the new dinosaur in the publishing world -- they're becoming extinct under the weight of their own lack of foresight. If you expect anyone to weep for them, you're nuts. If you think they deserve a bail out, you're dreaming. Independent book stores and authors are the wave of the future and they're going to continue to be. Best sellers will be emerging there more and more, showing up on the New York Times and USA Today Best Seller lists. More and more indie authors are winning awards such as the Mann Booker Prize and Mann Booker International Prize. It's happening, my friend. Book stores don't need a bail out. They need to get with the program or get extinct. They need to accept the indies and start promoting them with all of the fervor that they promote trads. Only then will they finally dig their way out of the tar pits. You planning on joining us? Well said! Nothing irritates me more than having some brick and mortar store tell me there is no room for my book, and then I see rows devoted to fart books, and Snooki! and pop-crap! Why would we want to save THAT? I totally agree. I read more indie books now than I read trad published books. And if I can't get those in a brick and mortar store, then I'll go where I can.